On January 18th, news came out that the Saudi Council has come out with a proposal to define childhood as from birth to the age of 18. And the discussion about age definition came about as a preclude to approve a new child protection system that includes protecting children from physical, psychological, and sexual abuse and prosecuting neglect. There was some back and forth about lowering it to 15 but eventually in a second meeting it was established that 18 is the decision for now at least. وفيما يتعلق بتزويج القاصرات واعتباره كنوع من أشكال الإساءة للأطفال والاعتداء على حقوقهم قال بكري ” الموضوع شائك ” وأضاف: تحديد سن الطفولة ب18 سنة يعتبر إشارة لحظر زواج الفتيات دون هذا السن،عدا أن هناك خلافا وجدلا واسعا حول تعريف أو تحديد من هي القاصر. With regards to the marriage of minors and considering it as a form of child abuse and human rights violation, Bakri said “The issue is thorny” adding: “determining the age of childhood at 18 years is a reference to the prohibition of marriage for girls under this age, except that there is a dispute and wide discussion on the definition and designation of who is a minor”. Confused? So am I. Bottom line child marriages is not included in the new child protection system. That means according to Saudi law marrying off an 11-year-old to a man in his fifties is not physical, psychological, and sexual abuse nor neglect. If you’re upset about this, the child marriages petition on Change.org is still standing and every signature goes directly to the Ministry of Justice. There is some good news though. A group of Saudi women have started a hashtag on Twitter #Saudiwomenrevolution and there were some heated debates on there. There was also a group of men and women who tried to put down the whole cause, claiming that Saudi women are lucky and honored. Also that calling for women rights is a Western conspiracy to corrupt Muslim women. Another recurrent theme with the naysayers is accusations that anyone calling for women rights has to have come from an abused background, in other words, trying to shame women into quiet. Meanwhile a group of Saudi women go out and do what the men are too afraid to do; a group of 40 women protested in front of the interior ministry last week to demand freedom or at least open and fair trials for their imprisoned relatives. The group who started the #Saudiwomenrevolution have started a Facebook page and are trying to get organized with a proper list of demands. This is the link to their page. Quiet Revolution: The Saudi, Female Brain Drain by the past editor of Saudi Gazette, Rob L. Wagner. The municipal elections that were conducted in 2005 were the first taste of democracy and governmental participation that Saudis have ever had, unfortunately it was not up to anyone’s expectations. People voted according to tribal affiliation and who their sheikhs directed them to vote for. Campaigns were virtually non-existent and at the end of it all the elected were not heard of, nor results seen. Above all, the issue that stands out the most with the 2005 elections were that women were banned from voting and nominations. The real excuse was that a large faction of our society still thinks of women as property, sheep, and/or seductive sinful creatures out to seduce them into damnation. However the official excuse was a bit more diplomatic; that it was the first experiment and that the government was not prepared, facilities-wise, to receive women voters. Since a lot of younger Saudis have started to question the fatwas about women being incapable, lack of women only facilities has become the go-to explanation. This is the same excuse that is currently being employed to explain why women are still banned from driving cars, and not only by muttawas but also by people who seem quite pro-women in most other aspects. They say we need women traffic police as if when an accident happens, not the nearest patrol should attend the site, but rather the one that matches the gender of the driver!? They say we can’t even begin to think about women driving until we have gender segregated driving schools and traffic administration. Lack of gender segregation has not stopped our police, firemen, ambulances, courts…etc. None of these have women employees and yet women are still served by them all. Then we have the government faction that has the most interaction with women on an everyday basis, the PVPV, and they too have no women employees to attend to women. Bottom-line it’s an empty excuse and those who use it know it to be so. Nothing says that louder than the secret meetings that were conducted regarding the upcoming 2011 municipal elections. In March of last year Alwatan reported that the municipal council members, 1212 in total and of course all men were asked if there was any point in allowing women to vote or participate in any way. This is getting to be beyond ridiculous. How long are women going to be treated like third class citizens? And I’m not the only one frustrated with the situation. Eman Al Asfour, Iman Fallatah and Khulood Al Fahad have decided to take things into their own hands and have started a promising campaign demanding the right to complete participation in the upcoming municipal elections. Besides joining the campaign on its Facebook page, Saudis can actually take part by sending in their contact information, suggestions and how they can help. Looking at the four, you’ll see that they all work towards achieving equality, through research, funding, training and so on. Most of the reports on Saudi Arabia becoming a member were expressed with incredulity, one going as far as calling it a joke. I can understand their misgivings but the issue lies on what type of organization will result from this merge. If by signing on Saudi Arabia, it is meant that Saudi has eradicated discrimination, abuse and inequality, then of course it takes no expert to tell you that that is absurd. However if by signing on, it will mean that Saudi will work towards that goal, then women in Saudi need all the help they can get. One of the main aims of creating UN Women is to strengthen the UN’s ability to provide coherent, timely and demand-driven support to UN Member States, at their request, in their efforts to realize equality for all women and girls. It will be up to each Member State to decide what kind of support UN Women will provide in that country. I don’t believe much can be accomplished by rejecting Saudi Arabia. All over the world women are treated unequally and abused in differing degrees so the majority of the countries on the board of the new UN Women do have women issues in their own countries. Ethiopia, Pakistan, India and even Congo are now UN Women member states! Yes Saudi Arabia is on the extreme side of the spectrum but that’s all the more reason to include it. By including it, UN Women will be able to gain access and document the ongoing gender apartheid. It could engage Saudis and educate women here on their rights. Generally speaking, inclusion could translate into a more proactive and direct influence. Do we really need a ministry for women? Last week news came out that the government is seriously considering a women’s affairs ministry. The idea for a ministry originated from an official proposal sent to the government from a group of influential businesspeople in Jeddah. The main point of the ministry is to ensure that women related laws and regulations are followed through and implemented in the other government ministries. I respect the people behind this proposal and I know that they have good heads on their shoulders. However two issues come into play. First of all the ministry proposal is actually one of many in the study that they had presented to the government. “The study, entitled “Businesswomen in the Kingdom of Saudi Arabia”, also called for “the appointment of women as members in the Saudi Shura [consultative] Council…In addition to this, there is also a recommendation to “remove restrictions imposed on women, whereby it is necessary to appoint men as directors of projects that serve both sexes”. There is also a demand to “ease restrictions on women commuting on public transport, as well as women’s driving, and international travel”. I’m speculating here but there’s a good chance that some decision maker looked over this list and thought to himself out of these which is the easiest to do to placate these influential unhappy Jeddah rich. Another gender-segregated building for women that will only add ignorable paperwork to our bureaucracy mountain, that’s doable. Hey it can even work both ways and make the muttawas happy. The second issue is a nagging feeling that this ministry will only add to our misery. Currently, if I go to any ministry, even the ministry of justice I am treated differently and in most turned away at the door because I am a woman. I have to go to a little side-building for women only where a receptionist or clerk is only allowed to process the most routine paperwork. I would not be surprised if this women affairs ministry turned to a women only island where these receptionists and clerks would be moved to as ambassadors of the other ministries. A ministry for women’s affairs might work in other countries where women are viewed as less advantaged but still fully human and can walk about freely. Here in Saudi, that is not the case. Women are “the other”, something to be taken care of and guided lest it go wayward. A ministry that takes care of only women is just a little too agreeable to the ongoing gender apartheid for my taste. Shiekh Al Ahmed is no stranger to the issuance of anti-women fatwas. He has made it his personal mission to be responsible for every single Saudi female. He first came on my radar when he went on TV asking that the Makkah Mosque surrounding the Ka’aba be torn down and rebuilt so that there would be complete segregation between the sexes when Muslims visit the mosque for any reason including the annual pilgrimage, Hajj. Another incident is when he took a group of muttawas to the Ministry of Education to ensure that their new policy of allowing boys to enroll in girls’ schools until third grade would be stopped. Now Shiekh Al Ahmed has a new mission, and you got to admire him for the bold move at least. In direct opposition to the King’s new legislation that no fatwas be made public unless issued or at least pre-approved by members of the Council of Senior Religious Scholars, Sheikh Al Ahmed issued two fatwas on TV. And of course he didn’t disappoint, they were about women. His new pet project is to sabotage HyperPanda Supermarket‘s initiative to employ women cashiers. So he said on a program in reply to a caller that first of all it is haram (Sharia prohibited) in Islam for women to work as cashiers in places where men can be customers and secondly he said that it is not only Jaiz (Sharia acceptable) to boycott the supermarket but also mustahib (Sharia advisable). The project has started on an experimental basis in Jeddah where currently 16 women are cashiers. If found successful, it will be expanded to absorb 2500 women cashiers all across Saudi Arabia. The application conditions for women according to Arab News are that they be Saudi, above 28 years of age, have a financial need, be a widow or divorced and stick to a dress code. Shiekh Al Ahmed is calling on all ultra-conservatives to boycott HyperPanda and informed the PVPV that it is their right to file a lawsuit against them. He is arrogantly confident in his followers and the power they have that he says let’s give them a five day warning before we start the boycott. He says that he had called an executive from HyperPanda and found him to be stubborn and insistent in proceeding with employing women. He claims that their insistence is a sign that it is most likely an American supported and plotted scheme to westernize the country. However, my favorite part is when he says that ultra-conservatives from neighboring countries, like Syria, Egypt and Yemen, call him up to show their support and advise him not to allow what happened to their countries happen to Saudi Arabia. I keep telling people that the more Saudi Arabia opens up especially when it comes to women’s rights, the more Islamic fundamentalist groups worldwide will too. It will have a dominoes effect on their approach and lifestyle. Because so many of these fundamentalists look to Saudi Arabia as the prime example as to how life should be lived. That’s why I’m going to do my part by supporting HyperPanda’s initiative. Although I’m a Carrefour regular since they are literally five minutes away, I will go the extra distance to buy my groceries from HyperPanda. I hope that others will do the same. Afaf’s Asian driver left her in the middle of the road on her way to work in the morning; simply because she criticized him. He turned off the car and threw her keys at her, and then stopped a taxi and got in, without heeding her appeals, or her pleas! In the beginning, a researcher of Islamic affairs, and a member of the Human Rights Association, “Suhaila Zein al-Abidine” says that Islam does not forbid women their rights, and driving is a right. The Kingdom has already signed the international convention of non-discrimination against women, including the right of movement and transportation. She said “There is no legitimate Islamic text that prohibits women from driving a car, we are a country that follows the teachings of Islam and knows very well that the basic principle of Islam is tolerance and permission, unless an issue is specifically deemed prohibited”, al-Abidine expressed astonishment at those frightened of allowing women to drive, citing that they agreed to women working as teachers in remote locations, or servants behind closed doors, wondering “Why do they insist on our women remaining submissive and at the mercy of drivers, some of whom have a criminal history in their home country, or a psychiatric disorder, or moral and ideological issues “? .. She Cited an incident that took place when a previous driver abandoned her and her sister one evening in an area remote from where they live. He wanted to punish them just because their transportation needs conflicted with his plans! She added that relying on drivers has moral, safety and economic risks that are much bigger than those posed if women were allowed to drive, so it is an issue of necessity, not a luxury, “especially in times of crisis,” citing an incident that the girl, Malak al Mutairi, a fifteen year old, who drove a GMC and saved her father, brother and eight families trapped by the floods of Jeddah, and so thank God for her ability to drive a car. No one punished Malak or admonished her for driving a car. On the contrary, she was honored by her school, as she was honored by the press, and celebrated by the officials. Many Sharia experts and shiekhs have declared their support for lifting the ban on women driving, especially after growing concerns regarding drivers and the consequences and problems of recruiting a man for each household. Sheikh Abdullah al Mutlaq, a professor of Comparative Jurisprudence and a former judge of the Court of Hail, made his view explicit on this subject in Okaz newspaper on June 4, 2009. He emphasized that there is no legitimate justification that prevents women from driving. He states that he is in the process of writing a study on the how-tos of lifting the ban in order to prevent the corruption caused by the recruitment of foreigners as drivers in Saudi society. Shiekh al Mutlaq calls for allowing women to drive soon, especially since women in the suburbs and villages have been driving for decades. No problems at all have been registered against these women of the villages who are driving. Actually they are appreciated by all for their courage and respect for the traffic system and laws. They’ve also shown that they abide by the laws much better than men. Al Mutlaq asserts that there are women who own cars in their own name. As foreign drivers have been noted to cause a lot of problems, women driving could prevent these problems, especially since there is no prohibition or legitimate religious reason that prevents women from driving. Customs and traditions in our society should not prevent us at all. He also points out the need to launch an awareness campaign for young people to respect women who drive and as such to acclimatize everyone until it becomes a normal sight. The question is why is it illegal for women to drive if they have an international driving license? The word of law is what is left since Islam does not prohibit women from driving. We took our question to the Legal Counsel, Bandar bin Ibrahim Al Muhrij and he replied saying that article thirty-two of the traffic laws states that “any person is prohibited from driving a vehicle before obtaining a driver’s license as is required in accordance with the provisions of this law”, and based on this text, the word “person” contained therein is not limited to the male without the female, indicating that the fact that driving licenses are issued exclusively to males is not supported by any document from the traffic system and its laws. As well as the publication of Sheikh Ahmed bin Baaz’s explicit opinion in Al Watan newspaper on January 15, 2010 in which he considered women driving an issue of rights and not an issue of priorities. Bin Baz also notes that preventing them from driving was thought to be virtuous in the past, however these considerations do not exist now nor can they be discussed or reconsidered. He added that the fear that women will be abused is not sufficient justification to prevent them from driving. Abuse is primarily a problem of security and education, and not a woman’s responsibility. Bin Baaz stressed that those who have millions and live in palaces with servants, entourages and numerous drivers may not be concerned with this issue. This issue is the main concern of women whose dignity suffers on the sidewalks bargaining with taxi drivers in order to get to school or work, or to a hospital for treatment or any type of need. Driving in this case is not a luxury as these women save every riyal to provide salaries for drivers, and have to build externally attached housing for drivers. And then these women have to go through an ordeal in order to obtain a visa for a driver to enter the country. In these cases lifting the ban is not a luxury. As a matter of following up on this issue Riyadh newspaper has gathered several proposals by specialists involved in setting the first practical step in allowing women to drive in the event it happens. One of which was what was presented by a sociology professor at the University of Imam Muhammad bin Saud, the Chairman of Saudi Society for Sociology and Social Work, Prof. Abdul Razak bin Hamoud Al-Zahrani. Prof. Al Zahrani expressed his deep conviction that the issue of women driving is a social issue that concerns each woman and each family in the community. And accordingly, he proposed in a previous study and proposes again here that a referendum in all parts of the Kingdom be held. The samples taken should be representative of all society. As such the views of the community about this issue then becomes a collective societal decision, whether society positively or negatively views the lifting of the ban. Thus any decision made would be appropriate and compatible with our community. Hence society would be the reference on this issue of a vital, delicate and controversial nature and which has been discussed frequently in the last two decades. The district court judge in Riyadh, Sheikh Dr. Isa bin Abdullah Al Ghaith believes that women driving cars is not Islamically prohibited in and of itself but due to that it leads to other evils. He proposes that the ban not be directly and entirely lifted, at the same time he does not stubbornly close the door so that communication breaks down. Prof. Al Ghaith proposes a practical and phased testing that is authorized and supervised by the government in which women would be allowed to drive cars within a coherent plan. This testing should be planned at a specifically selected time of day and for a set city that is chosen carefully. This experiment would then be observed closely by a range of sharia and legal experts, psychologists, social workers and security officials and others to control and adjust it quickly and flexibly. In the months following the experiment, these experts should prepare reports and submit their recommendations in this regard. In this way – according to prof. Al Ghaith we will be able to achieve the interests of our society, avoid the evils and close the door of excuses. We shall be able to implement future laws regarding women driving on the basis of Islamic provisions, rules and purposes of legitimacy and leadership. In Prof Al Ghaith’s opinion there is now a “women driving phobia” which motivation is understood, however what is not understood is the justification behind the lack of dialogue and lack of practical experimentation on which to persuade advocates and opponents. Through the specialists recommendations common interests that we currently lack could be achieved and the current evils eliminated. In that case, we must abide by that commitment and affirm it, regardless of whether we decide to allow or ban driving. This approach will provide the reasoning needed by all and a general conviction will be gained by the community before the decision-maker. And thus decision makers will have followed the collective societal wishes in approving or banning women driving. In another proposal by an education specialist who thinks that it might be better to allow foreign female domestic help to drive cars as a first step. In the specialist’s view this would significantly reduce the number of drivers recruited. Another option is that we allow the licensing of transportation companies who in their turn would recruit foreign women. At the same time there could be an intense awareness campaign directed to all segments of society about the acceptance of seeing a women behind the steering wheel. For his part, Nasser Al Oud, a professor of clinical social work at the department of sociology and social work at Imam University is of the opinion that the issue of women driving is a cultural issue (as a large number of intellectuals and scientists agree). Hence legislating allowing women to drive must be done at the appropriate time. Those charged with the implementation of new laws must work on gradually introducing it. It is to be expected that the lift of the ban will be accompanied by a number of social obstacles, such as direct criticism of those who are driving and trying to influence male guardians through the use of social pressure (the family, community leaders ..). It should also be taken into account to first only allow driving in large and civilized cities and in neighborhoods and populated areas. At the same time security should be intensified by the authorities. At the beginning women drivers should be accompanied by their male guardians until the taboo starts to diminish. In the meantime, the male guardian would be there to provide security and prevent outsiders from asking the woman questions. Awatif Al Otaibi is a female employee who has an international driving license and has been driving abroad for the past 15 years. Al Otaibi points out that in other Arab countries there are no licensing laws that discriminate on the basis of gender, age, dress, or guardian’s consent, or the locations that driving will take place. She feels that stressing the adoption of such obstacles when a woman attempts to apply for a license only takes us away from the essence of the issue. Al Otaibi does not believe in the classification and the creation of a special law for women but rather that we should be more concerned about driving practices in general, so as to prevent complicating any further our current and pressing social need to lift the ban. From here Awatif affirms that change starts with one step, but we need to start from where others have ended, the experience of women driving and laws of neighboring Islamic countries have been shown to be a successful experiment that was initially fraught with obstacles and challenges. In these countries law were developed regardless of gender. Laws that govern all are what we need to get accustomed to, as we get back to the basics at this stage. National leaders that are educated and familiar with the global standards for women driving are capable of producing a sound vision and implementation that ensures that the respect and rights of women are taken very seriously, Otherwise any further delays and obstructions of this right will only lead to the further weakening of its social and intellectual status. For his part, Prof. Abdullah al Kuaid, a researcher and writer with experience in traffic affairs, asserts the need to start allowing women to drive at this point, stressing that there is nothing to fear and that he understands that some might be wary of the possibility of women drivers being harassed, however, harassers, as in all communities, are deterred by the threat of strict and swift punishment. Prof. Al Kuaid points out that the repetition of raising the issue of women driving cars in our country does not lead to it losing its urgency or momentum as long as women are deprived of this right. He also addresses those who allege that currently there are more pressing issues and priorities; unfortunately, those that echoe this sentiment are not aware of the losses incurred by the nation through denying women the right to drive a car. From an economic point of view he notes the magnitude of the amount of money that is sent each year abroad by drivers besides the cost of bringing these people in, in addition to the public services that these workers expend and could have instead been provided to citizens. We should also consider the unpublicized social and moral problems which are caused by the employment of an unrelated man midst a family that does not share his culture, beliefs, customs or traditions. And to add insult to injury, many of these drivers are of poor skills and qualifications and are slow in the adoption of our traffic laws. Finally the threat that such large numbers of drivers are on the roads especially considering that each family employs at least one. I have been complaining about the ban on women driving for the past decade. Over the years I have had in my employment about eight or nine drivers; Indians, Pakistanis, Saudis, Ethiopians, Sudanese, Bangladesh…I’ve ridden with all kinds and unfortunately smells. I’ve gone through the full spectrum of problems from attitude issues to “borrowed” cars. And I’ve become quite experienced in how to be a boss of someone who won’t listen. My current driver has almost completed his third year in my employment. Since 2002 everyone keeps telling me that the ban will be lifted by the end of this year. The end of this year becomes the end of next year and then the year after that and somewhere along the line I’ve lost hope and resigned myself to dragging a strange man to all my classes, on all my errands and to wait outside the gates of houses I visit. However on April 14th, 2010 it seems that something has changed and I can finally see a thin line of hope on the horizon. Riyadh Newspaper, one of the more conservative papers in Saudi Arabia ran an extensive piece not on whether or not women should be allowed to drive cars but on how that can actually be implemented on the ground. The title was literally “Women driving cars…how do we start its implementation”. They interviewed several influential people including sheikhs, professors of sociology and a retired general. 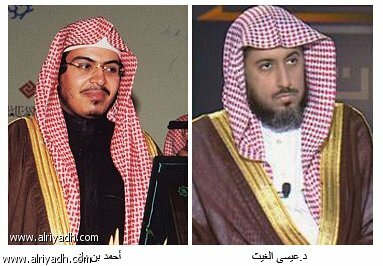 But the real deal was sheikh Al Ghaith, his was one of the first photos in the article and don’t be fooled by how young he looks. He’s actually a PhD holder and is far from your typical camera chasing sheikh. More importantly he has the ears of some of the big decision makers of the country. Currently he is a judge at Riyadh’s district court. It’s even rumored that he has the final say when it comes to the death penalty. I would almost go as far as to say that the whole article was a frame for Al Ghaith to subtlety inform the muttawas that the time has come to compromise on this issue. The article got a lot of attention and had 1625 comments, on average a comment a minute yesterday! On a lighter note, my shewolf friend had gone out for a few more joyrides since that night.